Natural makeup used to be a wash, especially when it came to natural lipstick! The colors were poorly pigmented and had zero staying power, and it was difficult to try new ones without spending a lot of money. Thankfully, things have changed a lot, and you no longer have to trade your health for beauty in your search for natural lipstick! However, greenwashing–using words like “natural” and “clean” to mislead customers–is still rampant, so my goal with this guide is to provide you with everything you need to know about how to find a natural lipstick. Is My Lipstick Safe Enough to Eat? You’ve probably seen news articles claiming women eat 6 or more pounds of lipstick a year. While these reports are likely highly exaggerated, there is a ring of truth to them: we do ingest some of what we put on our lips. Perhaps more importantly, the skin on our lips is thin and easily absorbs what we layer on. On average, women use twelve different personal care products per day containing an incredible 168 unique chemical ingredients (1). 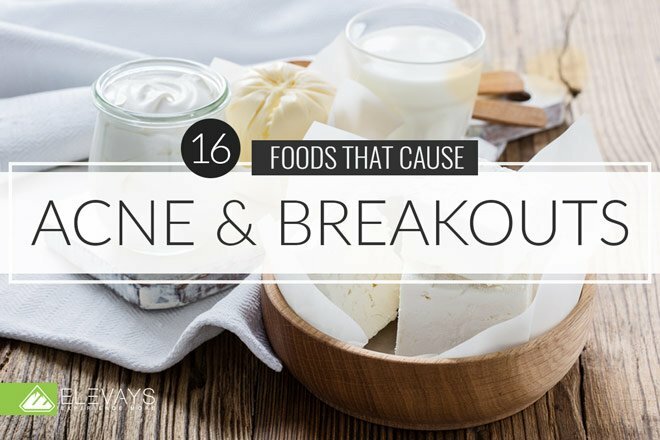 When many of these ingredients are toxic, you can imagine the potential impact. The good news, however, is that natural lipstick is an easy win! A recent study led by the University of California, Berkeley, and Clinica de Salud del Valle de Salinas invited 100 female teenagers to swap out their personal care products for products free of parabens, fragrance, phthalates, triclosan, and other hormone-disrupting chemicals. After a mere three days, researchers found percentage drops as high as 45 percent in common chemicals like parabens and phthalates found in the participants’ bodies (2). Natural lipstick makes us feel good and look good. Plus, it’s an easy way to swiftly and effectively lower the number of toxic ingredients we are exposed to daily. Even better, the best natural lipstick brands also condition and moisturize our lips. What Ingredients Should I Avoid in Lipstick? Personal care products like lipstick are the main way we are exposed to chemicals called parabens. Parabens are preservatives that are widely used in all manner of products, but you’re especially likely to find them in lipsticks and other cosmetics. Parabens have been found in urine and plasma, and even more concerning, they’ve been found in breast milk (3) and breast cancer tissue (4,5). There is significant concern over their implication in breast cancer and they are known endocrine disruptors, which mean they impact hormone production and management. The three most common parabens found in lipsticks are butylparaben, propylparaben, and methylparaben, though you should avoid any ingredient that ends in -paraben. You won’t find “phthalate” listed on your makeup’s ingredient list, but you will find “fragrance” if it’s not a natural lipstick. Fragrance is a term the FDA uses to identify the presence of one or more chemicals from a long list of approved ingredients. The reason the FDA doesn’t make manufacturers disclose the exact chemicals used is because they consider the information to be proprietary. Unfortunately, there are a significant number of toxic materials on that approved fragrance list, and many of them contain phthalates. The EPA has also raised significant concerns about the safety of phthalates (9). There’s no way of knowing for sure if a product is phthalate free unless the manufacturer discloses all ingredients, including those used for fragrance purposes, or skips fragrance altogether. My advice? Don’t choose a product that lists fragrance or parfum on its ingredient list. Oxybenzone is used as a sunscreen because of its ability to absorb UV rays. Like phthalates, oxybenzone has been found in breast milk (10) and has been banned in other countries because of serious concerns about its toxicity (11). Thanks to creative new lip products that include SPF, we are seeing it show up in lipstick more and more often now. Revlon’s Kiss Balm SPF 20, for example, contains toxic oxybenzone. If you want SPF on your lips, look for a natural lipstick that uses zinc oxide, or use a layer of clear gloss or balm that contains zinc oxide. Yes, I’m talking about the same chemical used to preserve the frog you dissected in your high school biology class! As it turns out, formaldehyde is a terrific preservative for your lipstick, as well, despite the fact that it’s also carcinogenic and causes allergic reactions. You most likely will never find it on an ingredient list, however. Instead, manufacturers sidestep federal regulations by using formaldehyde releasers. These ingredients combine with water inside your lipstick, lotion, or other personal care product and release formaldehyde gradually over time. Because of this, the longer your product sits on your shelf, the more formaldehyde it will have present. Parabens, phthalates, oxybenzone, and formaldehyde releasers aren’t the only offenders, but if you can avoid these, you can be relatively confident that the lip product you’re enjoying is non-toxic. The best natural lipsticks are products that rejuvenate and heal lips, not just add color. My favorites include luxe oils like shea butter and olive oil and use natural ingredients like crushed raspberries to add rich, stunning hues. For best results with any lipstick, apply with a lip brush. Noyah was one of the first brands I found when I was on the hunt for a natural lipstick brand several years ago. I wanted highly pigmented pops of color that would last for hours and hours and hours. Noyah has been that brand for me. I’m still in love with Empire Red, which is a classic blood red lipstick that probably looks good on any woman. I’m also a huge fan of Malbec, a berry color that goes well with so many different looks. They also carry glosses and chapsticks that I can’t wait to try next! These two brands are one and the same to me. Made by the same manufacturer Gabriel and Zuzu have been around for a long time. They’ve built trust in the natural and organic makeup community. In fact, they were the very first natural makeup brand I found when I started the transition to clean makeup in 2010. Gabriel is the more classic makeup line of the two. Both offer lipsticks, glosses and lip liners in a variety of colors. I have loved Wild Orchid by Gabriel for a lighter daytime look. And Siren by Zuzu Luxe has a bronze-y look with a touch of a metallic sheen. The color selection by ILIA Beauty is gorgeous! If you’re a big fan of eye-popping colors but you don’t like the way that some lipsticks can be drying, this brand is definitely one to try. The tinted lip conditioner combines the best of both worlds: beautiful shades with hydrating ingredients like avocado oil to keep lips moisturized and smooth. They even have lip conditioner with built-in SPF. That’s a huge win! Try the Tinted Lip Conditioner in Jump for a punchy, playful pink that’s perfect for day or night. If you like variety when it comes to your lipstick (and makeup in general) you’ll love Beauty Counter. They have many beautiful shades of lip color to choose from and also a variety of different products for your lips. Their Color Intense lipsticks hydrate and still keep lips smooth and moisturized. They also carry lip glosses and sheer lipsticks for a more subtle look. I love Currant and Plum for during the day and I’m in love with their Ruby lip gloss during the summer months. This is probably the most luxurious natural lipstick brand you’ll find. If presentation is important to you and you want to feel like you’re using an uber high-end brand like Dior or Chanel, this is the natural equivalent. Their lipstick cases are…pretty amazing. Just holding it in your hand feels like you’ve stepped into a different world of quality and attention to detail. And the product doesn’t disappoint either. Offering lipsticks, lip tints, glosses and balm in beautiful shades, Kjaer Weis has all the bases covered. Their lipsticks are more opaque, so if you’re going for more of a sheen try their lip tints or glosses. Tinted Lip Balms have been my go-to product when I want to feel a little more pulled together but I’m not going to invest the time to put on lipstick. In my opinion, the best tinted lip balms work like chapstick where you can twist the bottom of the container to roll up more product as you go through it. It’s simple and unfussy, but it can add just a touch of color when you need it. I first tried Alima Pure in a Whole Foods probably 4 or 5 years ago. From Day 1 I was hooked. I had just had my first baby and I was in the whirlwind of exhaustion, nursing what seemed like 24/7 and trying to adjust to the new world that I had been thrown into. Some days there was zero time for anything other than the baby, including putting on lipstick. The Alima Pure tinted lip balm became my go-to. I could throw it in my purse and quickly apply as I was heading out the door. It helped me to feel “like me” and retain some sense of my former self…the person I was before I became a milk making machine. The Lip Tints contain cocoa butter and jojoba oil – one of my absolute favorites for skin care and beauty. I still keep one in my purse all the time and have no intention of stopping. These are my favorite natural lipstick picks. Gone are the days where we have to suffer from subpar lip color that doesn’t last. Which one of these brands have you tried? Which one are you most excited to try? Do you have a favorite natural lipstick brand that we didn’t mention here? Drop a comment below and let us know!